The original cover of the book! Mine didn’t look like this.. i coulnd’t find my cover! 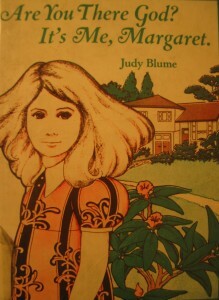 The title of this post has just brought back this huge childhood/teenage memory which I had completely forgotten about… my HUGE love for Judy Blume! Do you remember the books “Are you there, God? It’s me Margaret“. It was about a teenage girl.. (Adrian Mole style stuff here…) growing up.. being a late developer (okay the complete opposite of me), dealing with boys, her religion and getting her first period etc.. It was probably one of my favourite books as a teenager. So i have gone a little off track there, i was supposed to be entertaining everyone, describing myself and telling you what a little chubster i am but i really don’t want to sound like a complete Dilbert.. (yes Dilbert is my word.. if you ask one of my best friends Brian he will confirm this.. he is called Dilbert on almost a daily basis). So anyway, for example.. do you remember writing in your school exercise books as a kid or my penpal friends will agree with me it’s like trying to write an introduction letter for a new pal. 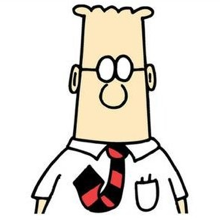 “Hello, my name is Kirsty, i am 33 years old, i live in Dorset” How much of a Dilbert do i sound? I use “……” all of the time! My spelling is pretty good but my punctuation is not fab!! I say “To be honest” often! I start my sentences with “So” a lot! Charlie Fuller liked this on Facebook.